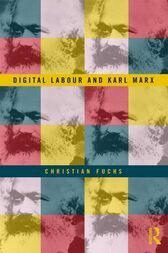 Christian Fuchs is professor of social media at the University of Westminster in London. He is the author of more than 180 academic publications in the fields of Internet studies, social media studies, critical social theory and information society studies. Among his publications are the books, Internet and Society, Foundations of Critical Media and Information Studies, and the collected volumes, Internet and Surveillance: The Challenges of Web 2.0 and Social Media and Critique, Social Media, and the Information Society.